When Jeremy Corbyn finally suspended Naz Shah, a Labour MP, for anti-Semitic comments on Wednesday afternoon he had hoped to draw a line under the furore engulfing his party. By Thursday morning, however, his friend and close ally Ken Livingstone had single-handedly reignited the row after deciding to mount an extraordinary defence of Ms Shah live on BBC Radio London. But Is Judaism and Zionism the same thing? 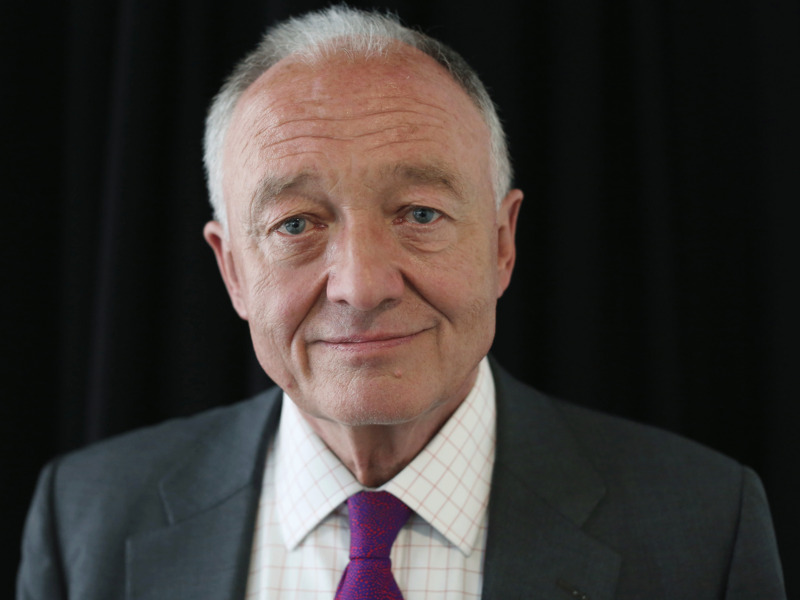 Well: “All poodles are dogs, but not all dogs are poodles.” Ken Livingstone, with his long track record of supporting Palestinian human and political rights, was entirely correct in his assertions at interview with Vanessa Feltz on BBC Radio London. But the row has rumbled on for 6 months bringing with it mass resignations of MP’s from Corbyns Shadow Cabinet and a challenge to his position as Leader of the party. Which the rebels duly lost. But will the large group of Labour Lords and Labour MP “Friends of Israel” now back off and allow Corbyn to get on with his job? Early indications are that Mandelson and his ilk will re-group and take another tack. Could be an interesting year ahead. But in any event there are differing views of world events in the period 1918-1945. Ken voiced his and was castigated as being Anti-Semitic which is a load of nonsense. But the facts, (as presented by Cheryl b. Who is Jewish and contributes articles to care2.com) are indisputable and worth a good read. 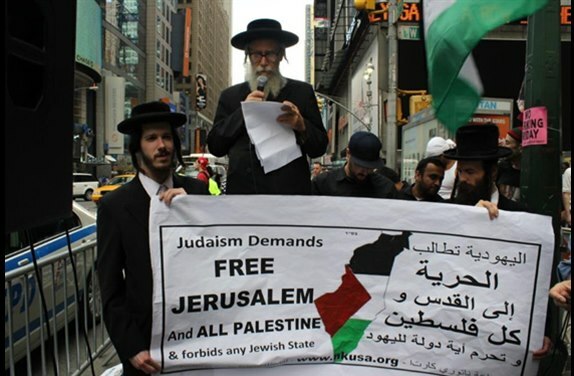 From its’ inception, many rabbis warned of the potential dangers of Zionism and openly declared that Jews should stay away from it like one would from fire. They made their opinions clear to their congregates and to the general public. Their message was that Zionism was a chauvinistic racist phenomenon which had absolutely naught to do with Judaism. They publicly expressed that Zionism would definitely be detrimental to the well being of Jews and Gentiles and that its effects on the Jewish religion would be nothing other than destructive. Further, it would taint the reputation of Jewry as a whole and would cause utter confusion in the Jewish and non-Jewish communities. 1900: Leading Jewish religious authorities predict great hardship befalling humanity generally and the Jewish people particularly, as a result of Zionism. To be a Jew means that either one is born to a Jewish mother or converts to the religion with the condition that he or she make no reservations with regard to Jewish law. Unfortunately there are many Jews who have no inkling whatsoever as to the duties of a Jew. Many of them are not to blame, for in many cases they lacked a Jewish education and upbringing. But there are those who deliberately distort the teachings of our tradition to suit their personal needs. It is self understood that not just anyone has the right or the ability to make a decision regarding the philosophy or law of a religion. Especially matters in which that person has no qualification. It follows then that those individuals who “decided” that Judaism is a nationality are to be ignored and even criticized. It is no secret that the founders of Zionism had never studied Jewish Law nor did they express interest in our holy tradition. They openly defied Rabbinical authority and self-appointed themselves as leaders of the Jewish “nation”. In Jewish history, actions like those have always spelled disaster. To be a Jew and show open defiance of authority or to introduce “amendment” or “innovation” without first consulting with those officially appointed as Jewish spiritual leaders is the ideal equation to equal catastrophe. One can not just decide to “modernize” ancient traditions or regulations. The spiritual leaders of contemporary Judaism better known as Orthodox rabbis have received ordination to judge and interpret matters pertaining to the Jewish faith. These rabbis have received their rights and responsibilities and form a link in the unbroken chain of the Jewish tradition dating all the way back to Moses. It was these very rabbis who, at the time of the formation of the Zionist movement, foresaw the pernicious outcome that was without a doubt lined up. Grand Rebbe Teitelbaum, zt’lIt was a man possessing outstanding Judaic genius, and a level of uncontested holiness who enunciated the Jewish stance regarding Zionism. This charismatic individual did not mince his words. Straight to the point he called Zionism “the work of Satan”, “a sacrilege” and “a blasphemy”. He forbade any participation with anything even remotely associated with Zionism and said that Zionism was bound to call the wrath of God upon His people. He maintained this stance with unwavering bravery from the onset of Zionism whilst he was still in Hungary up until his death in New York where he lead a congregation numbering in the hundreds of thousands. Grand Rabbi Teitelbaum, scion to a legacy of holy mystics and Hassidic Masters unfortunately had his prediction fulfilled. More than six million Jews were horribly murdered. All in punishment for Zionist stupidity. The Holocaust, he wept, was a direct result of Zionism. Zionist leaders made a point of displaying abysmal contempt for their Jewish brothers and sisters by inciting the Angel of Death, Adolf Hitler, and then actively participating in their extermination. They took the liberty of telling the world that they represented World Jewry. But who appointed them leaders of the Jewish People?? It is no secret that these so-called “leaders” were ignoramuses when it came to Judaism. Atheists and racists too. These are the “statesmen” who organized the 1933 trade boycott against a Germany, already on its knees, in the aftermath of WWI and the harsh terms of the Treaty of Versailles, particularly the reparations that Germany had to pay to the Allies, which prevented the German economy from recovering and a World still in the grips of the 1929 economic crisis. The boycott brought calamity upon the Jews of Europe. 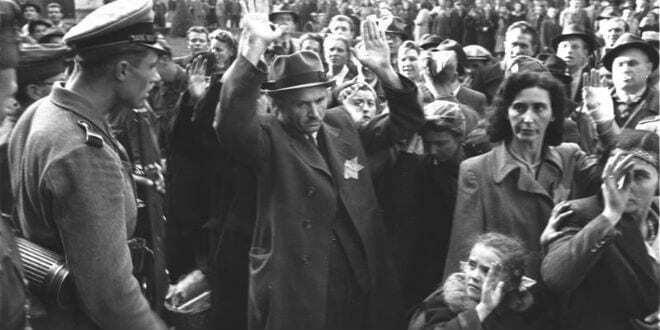 At a time when America and Britain were at peace with mad-dog Hitler, the Zionist “statesmen” forsook the only plausible method of political amenability; and with their trade boycott incensed the leader of Germany to a frenzy encouraging him to implement the “Final Solution”, ( already part of the Nazis’ racist ideology). Genocide began, but the leaders of the World Jewry sat back and did nothing. 6-15 July 1938: President Roosevelt convened the Evian conference, to deal with the Jewish refugee problem. A Jewish Agency delegation headed by Golda Meir (Meirson) ignored a German offer to allow Jews to emigrate to other countries on payment of $250 a head. But the Zionists made no effort to influence the United States and the 32 other countries attending the conference to allow immigration of German and Austrian Jews. c) $1000.00 ransom, payable for each family to be furnished by the Agency, payable upon the arrival of the family at the Spanish border at the rate of 1000 families daily. a) Only Palestine would be considered as a destination for the deportees. b) The European Jews must accede to suffering and death greater in measure than the other nations, in order that the victorious allies agree to a “Jewish State” at the end of the war. The response to the Gestapo’s offer was made with the full knowledge that the alternative was the gas chamber. The treacherous Zionist leaders betrayed their own flesh and blood. Zionism was never an option for Jewish salvation. Quite the opposite, it was a formula for human beings to be used as pawns for the power trip of several desperadoes. A perfidy! A betrayal beyond description! 17 December 1942: Both houses of the British Parliament declared readiness to find temporary refuge for endangered persons. The British Parliament proposed to evacuate 500,000 Jews from Europe, and resettle them in British colonies, as a part of diplomatic negotiations with Germany. Within two weeks the motion had attracted a total of 277 Parliamentary signatures in support. But on Jan 27 1943 when the next steps were being pursued by over 100 M.P.’s and Lords, a spokesman for the Zionists announced that the Jews would oppose the motion because Palestine had been omitted as a destination. 1943: The British government granted visas to 300 rabbis and their families to the Colony of Mauritius, with passage for the evacuees through Turkey. The “Jewish Agency” leaders sabotaged this plan with the observation that the plan was disloyal to Palestine, and the 300 rabbis and their families should be gassed. 16 February 1943: Romania offered 70,000 Jewish refugees of the Trans-Dniestria the opportunity to leave at the cost on payment of $50 each. On Feb 24 1943 Stephen Wise, President of the American Jewish Congress and leader of the American Zionists issued a refusal (published in the New York papers) to the offer and declared no collection of funds would seem justified. During the course of the negotiations, Chaim Weizman, the first “Jewish statesman” stated: “The most valuable part of the Jewish nation is already in Palestine, and those Jews living outside Palestine are not too important”. Weizman’s cohort, Greenbaum, amplified this statement with the observation “One cow in Palestine is worth more than all the Jews in Europe”. And then, after the bitterest episode in Jewish history, these Zionist “statesmen” lured the broken refugees in the displaced persons camps to remain in hunger and deprivation, and to refuse relocation to any place but Palestine; only for the purpose of building their State. 1944: At the time of the Hungarian deportations, a similar offer was made, whereby all Hungarian Jewry could be saved. The same Zionist hierarchy again refused this offer (after the gas chambers had already taken a toll of millions). 1944: The Emergency Committee to “Save the Jewish People” called upon the American government to establish a War Refugee Board. Stephen Wise testifying before a special committee of Congress objected to the proposal. 1947: Congressman William Stration sponsored a bill to immediately grant entry to the United States of 400,000 displaced persons. The bill was not passed after it was publicly denounced by the Zionist leadership. 23 February 1956: The Hon. J. W. Pickersgill, Minister for Immigration was asked in the Canadian House of Commons “would he open the doors of Canada to Jewish refugees”. He replied “the government has made no progress in that direction because the government of Israel….does not wish us to do so”. 1972: The Zionist leadership successfully opposed an effort in the United States Congress to allow 20,000-30,000 Russian refugees to enter the United States. Jewish relief organizations were being pressured to abandon the refugees in Vienna, Rome and other European cities. The pattern is clear!!! Humanitarian rescue efforts are subverted to narrow Zionist interests. The foregoing facts are written here with consternation and unbearable shame. 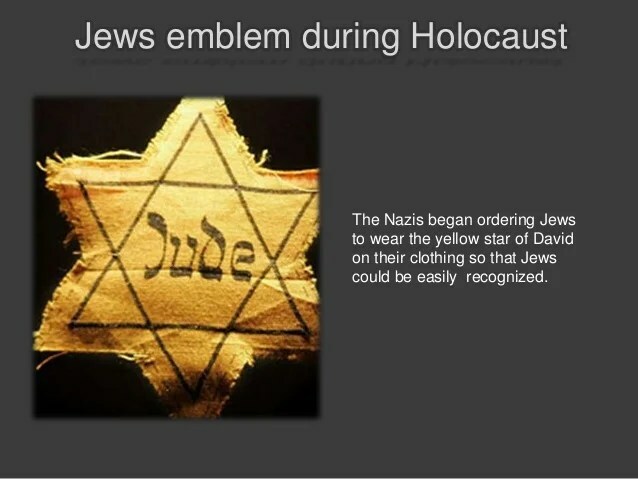 How can it be explained that at a time during the last phase of the war, when the Nazis were willing to barter Jews for money, partly because of their desires to establish contact with the Western powers which, they believed, were under Jewish influence, how was it possible one asks that the self-proclaimed “Jewish leaders” did not move heaven and earth to save the last remnant of their brothers? It would be wishful thinking if it could be stated that the contribution of the leaders of the Zionist movement was confined to simply sitting back and ignoring the plight of their dying brothers and sisters. But, not only did they publicly refuse to assist in their rescue, they actively participated with Hitler and the Nazi regime. In early January 1941 a small but important Zionist organization submitted a formal proposal to German diplomats in Beirut for a military-political alliance with wartime Germany. “The NMO which is very familiar with the goodwill of the German Reich government and its officials towards Zionist activities within Germany and the Zionist emigration program takes the view that common interests can exist between a European New Order based on the German concept and the true national aspirations of the Jewish people. Cooperation is possible between the New Germany and a renewed, folkish-national Jewry. The establishment of the Jewish state on a national and totalitarian basis, and bound by treaty, with the German Reich, would be in the interest of maintaining and strengthening the future German position of power in the Near East. On the basis of these considerations, and upon the condition that the German Reich government recognize the national aspirations of the Israel Freedom Movement mentioned above, the NMO in Palestine offers to actively take part in the war on the side of Germany. This offer by the NMO could include military, political and informational activity within Palestine and, after certain organizational measures, outside as well. Along with this the “Jewish” men of Europe would be militarily trained and organized in military units under the leadership and command of the NMO. They would take part in combat operations for the purpose of conquering Palestine, should such a front be formed. The indirect participation of the Israel Freedom Movement in the New Order of Europe, already in the preparatory stage, combined with a positive-radical solution of the European-Jewish problem on the basis of the national aspirations of the Jewish people mentioned above, would greatly strengthen the moral foundation of the New Order in the eyes of all humanity. The co-operation of the Israel Freedom Movement would also be consistent with a recent speech by the German Reich Chancellor, in which Hitler stressed that he would utilize any combination and coalition in order to isolate and defeat England”. On the basis of their similar ideologies about ethnicity and nationhood, National Socialists and Zionists worked together for what each group believed was in its own national interests. 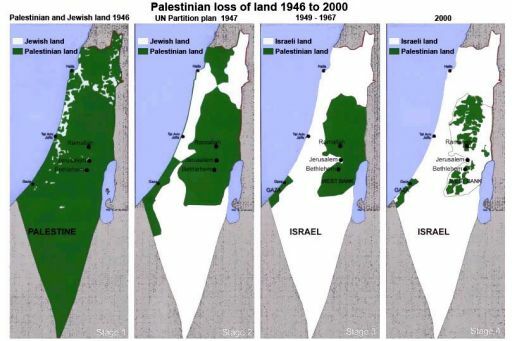 This is just one example of the Zionist movements’ collaboration with Hitler for the purpose of possibly receiving jurisdiction over a minute piece of earth, Palestine.